Poor Leonardo DiCaprio came closer to losing the best actor Oscar than any of us realise this weekend. After twenty-three-years of hard work and graft Leo finally won his long deserved Oscar on Sunday night, and I don’t think any of us can blame him for wanting to celebrate arguably the biggest moment of his career. Unfortunately The Revenant star was so busy celebrating that when he left the party he was at, the forgetful actor accidentally left his coveted statuette on the bar. 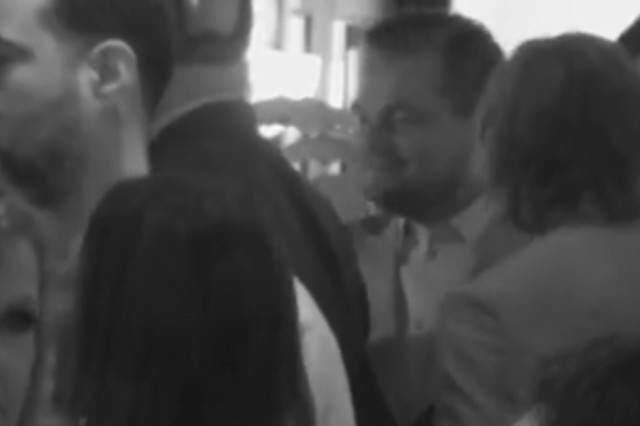 In video recorded by celeb gossip site TMZ, we see the moment that Leo arrives at the bar, walking in with his Oscar in hand as the crowd of paparazzi try and blind him with flashes. Cutting to a few hours later, we see him then leaving the bar. However, he’s in such a rush to avoid the paparazzi that he doesn’t seem to realise he’s left behind probably the world’s best tip. Thankfully a helpful man soon comes out with a ride home drink for Leo and the Oscar, although admittedly Leo seems keener to get his hands on the bottle.